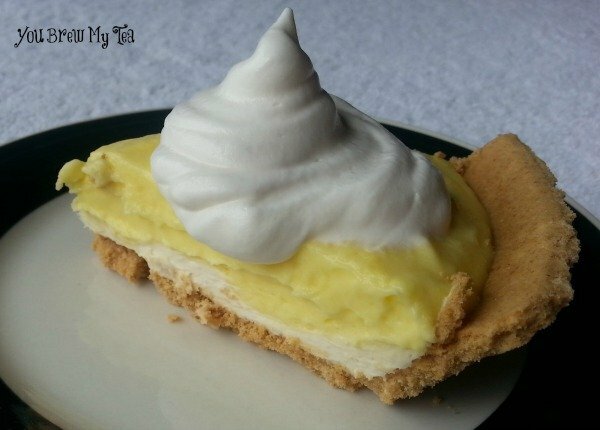 As a kid, I remember my mom making the traditional version of this Weight Watchers Lemon Icebox Pie. It included her homemade pie crust, tons of cream cheese and powdered sugar and either lemon pudding or lemon jello. The layers of creamy goodness and flaky crust made it a favorite that I still crave today. It was so simple, yet so tasty at after church potlucks. It was one of those items that everyone kind of fought over when she made it. As an adult, I realized how many calories were in a little square of that, and while we do attempt to avoid processed foods as much as possible, there are occasions when we want a fun simple dessert. This is one of our few treats that is made from packaged items instead of from scratch. One thing you’ll notice right away in our recipe is that we use a regular graham cracker pie crust. We do typically grab the organic variety if available, but we don’t choose the reduced fat ones. I have found that the amount of sugar in the reduced fat versions can be up to twice as much as a regular one. While you have 1-2 more grams of fat in regular, the amount of sugar is half that. To us, that is worth going with regular versus reduced fat. This is a great simple dessert to make with the kids since they will be more than happy to lick the beaters when you are done! In a large bowl, mix together pudding mix and milk according to package instructions. Set aside. In a separate bowl, mix together cream cheese, Splenda, and vanilla extract. Be careful not to beat too much. You want this to be just mixed. Pour cream cheese mixture into bottom of pie crust. Top with whipped topping as desired. When making fun recipes like this, using the simple substitutions like fat-free milk, sugar-free or fat-free pudding mixes, fat-free whipped topping, and lighter cream cheese can make a huge difference in your points values. Yes, it is a bit of a point sacrifice for just a piece of pie, but if you are like me – that sweet treat calls your name for only so long before you give in. Wouldn’t you rather give in to something that is lower in fat, calories, and points that satisfies? I know I sure would. 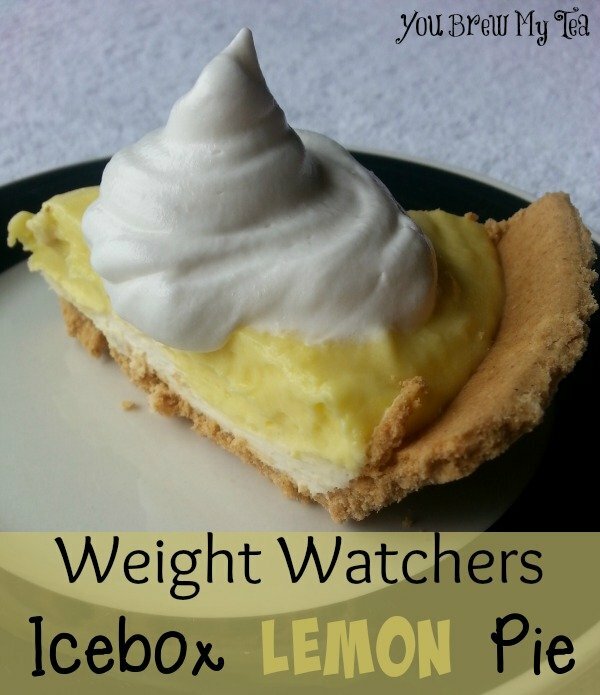 This Weight Watchers icebox lemon pie is a fun simple dessert that is perfect for potlucks, special events or just to help satisfy your craving this weekend. Check out our other favorite Weight Watchers Dessert recipes! Wow! that looks so good! My mom is on weight watchers so I will have to make it for her! This looks delicious. My husband and I are on our 2nd month of WWs and I’m always looking for recipes. Can’t wait to try this one! Drooling, pinning, trying – for sure! Thank you for choosing it!!! Yay! !